"By focusing on the young, they are not only saving lives and improving the livelihoods of many; they are also helping to prevent the suffering of future generations." 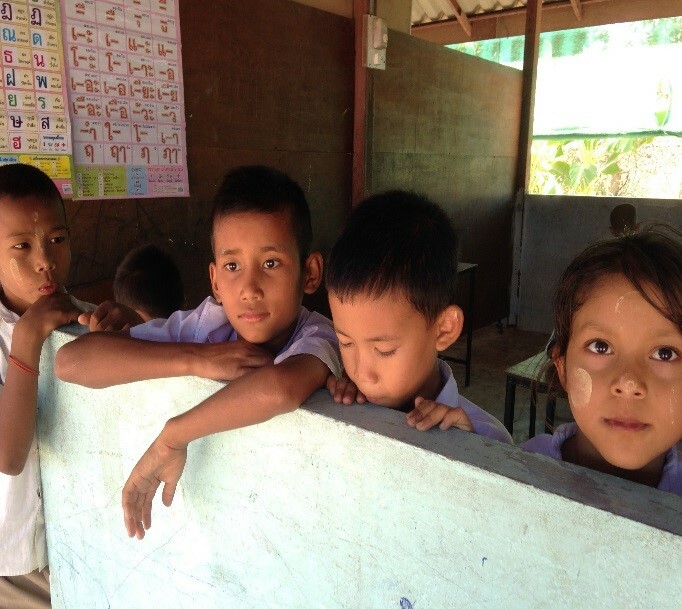 Child’s Dream Foundation (CD) works on refugee camp education in collaboration with Karen Refugee Committee Education Entity (KRCEE) in Thailand which supports 13 schools at the post-high school level. As higher education is rarely existent for students in eastern Myanmar, KRCEE aims to fill this gap by supporting higher education in the refugee camps in Thailand/Myanmar boarders through various activities like arranging training for teachers on methodology and subject upgrading, harmonising curricula across schools and coordinating material distribution to schools. KRCEE fulfils the same basic role as any department of education would in a stable government. Funding KRCEE assists their on-going effort to support the transition of higher education and therefore better employment opportunities for youngsters within Myanmar borders. Fu Tak Iam Foundation supports part of the costs of the thirteen schools for two years since 2014. I spent three days in November 2014 with Child’s Dream (CD) and was hosted by co-founder Daniel Siegfried. On the first day we toured their Chiang Mai HQ where most of their 30 or so staff are located. CD’s activities cover four countries (Thailand, Laos, Myanmar and Cambodia) and three sectors (health, basic and higher education). The staff are therefore grouped by country and/or sector. Overall, the well-designed office space provided a pleasant and cost-effective working environment. I would be happy to work there. The next day we drove down to Mae Sot where the KRCEE and various other CD projects are located. During the four hour plus drive we discussed Daniel’s vision, philosophy and process in great detail. Our conversation was reassuring and it was soon clear to me that Daniel was an astute strategic thinker who is highly dedicated to his cause. The disadvantaged children and communities of South East Asia are lucky to have him. We discussed CD’s operating cost structure in detail. CD has a self-imposed ceiling on administration overhead costs equal to 10% of annual expenditure. In other words, CD strive to have at least 90 cents of every donor’s dollar make it to the final beneficiary. During lean years the managing partners reduce their already modest salaries to help absorb any shortfall in revenues. CD’s cost/expenditure ratio is currently 6% which is impressive in itself but especially so when considering their size (annual budget circa USD 6 million) and reach. I was pleasantly surprised to hear that fund raising expenses are included in their definition of administration costs. I was told that fund raising (Switzerland and Japan are key markets) costs CD next to nothing as Marc Jenni and team fly and stay for free courtesy of donations in kind. For example, one supporter, who is a frequent first class flyer, gives CD unfettered access to his online account so they can help themselves to his air miles. Prior to meeting CD, I had two concerns I had wanted to address with them. One related to the KRCEE project and the other to CD’s endeavours in general. On the latter, I thought that perhaps some of CD’s well-intentioned activities could have unintended negative consequences such as enabling irresponsibility on the part of governments. By providing education and medical services that are traditionally the role of the government, is CD effectively subsidising inept and/or corrupt regimes? This argument is really only applicable to Laos where government involvement and cooperation is high. Daniel made the case that the Laos government had neither the resources nor the know-how to do what CD are doing there, and that CD are playing a crucial role in building essential infrastructure. These projects will be transferred to the government when they are fit and ready to take them on. Regarding the KRCEE project, I was sceptical about supporting a ‘higher education’ initiative given that the social return on investing in education tends to diminish as you move from basic education up the ladder towards higher education. Teaching children to read, write and count is low hanging fruit. Literacy and numeracy skills dramatically improves their opportunities and also serves to protect them from exploitation. Given CD’s historical emphasis on public health and basic education, where they are literally saving lives and preventing suffering, I did wonder whether the money could be better spent elsewhere... Our tour of Mae Sot soon put that concern to rest. BHSOH is the only available primary and secondary school for the children of Myanmar migrant workers who work (or are enslaved) illegally in the fields or nearby textile sweatshops. Many of the children have been abandoned (often not by choice) so boarding facilities (that is, a roof) and plots to grow their own food are provided. A CD partnership, this is essentially a job centre for Myanmar migrant youths (graduates of BHSOH). 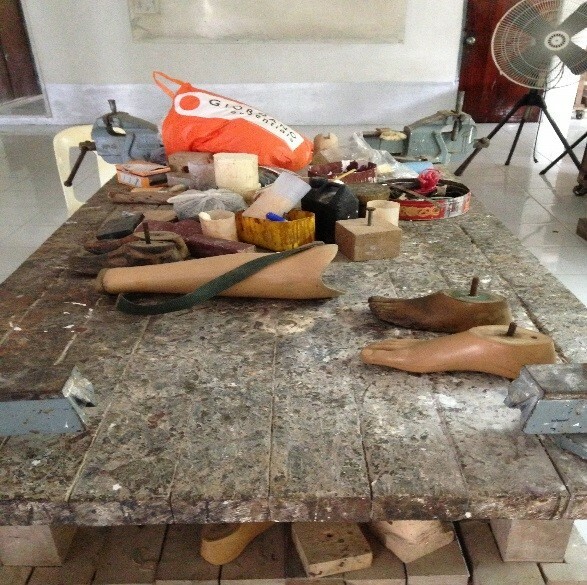 Youth Connect (YC) provide vocational training and help place youths in jobs in Mae Sot. YC have relationships with a number of local employers (hotels, medical clinic, and retail outlets) and matches the youths with appropriate jobs and monitors their progress. This is a college for the highest achieving refugee and migrant youths where they study for the GED diploma (US high school diploma equivalent). Limited to around twenty students per year, CD provides university scholarships (mainly to Thai universities) with the hope that these students will become future leaders of their communities. American volunteers who are between under- and postgraduate studies teach the course. One teacher described her experience as being the most rewarding in her (young) life so far. We discussed with the students their aspirations and worldviews. Many of them intend to study PPE at university and want to return to Myanmar and help rebuild the country. The majority of the students were refugees, all of who came through the KRCEE programme we are sponsoring. Picturebook is a social enterprise owned by CD and served as our accommodation for the night. YC place a handful of youths here each year as a stepping stone into the hospitality trade. It is one of the most popular and highly rated hotels in the area, demonstrating that CD are capable of managing both for- and not-for-profit ventures. 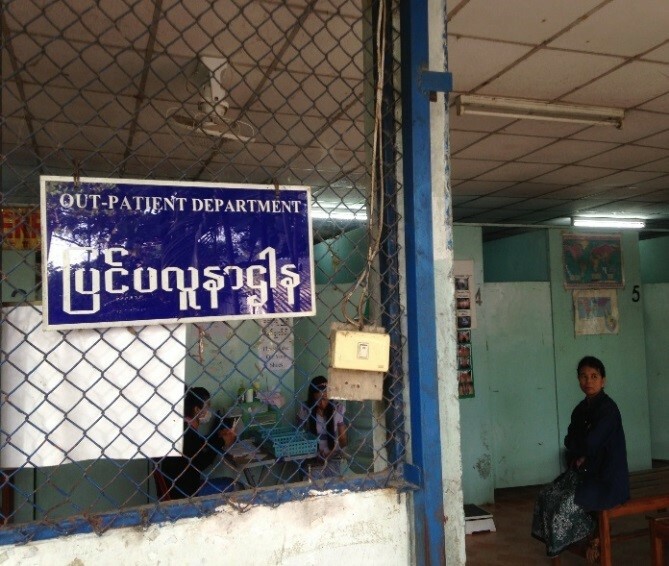 The Mae Tao Clinic is a NGO-funded medical centre for Myanmar refugees and migrants. It started out over twenty years ago as a one-roomed building equipped only with a rice cooker to sterilise instruments. Around five hundred patients visit the clinic daily with many travelling from far within Myanmar due to the lack of facilities back home. The clinic is very basic by rich world standards yet provides so many with life-saving treatment. Some YC alumni find jobs as translators here. This, the department of higher education for Myanmar refugees, is staffed by two wonderful ladies who are themselves former refugees. One was relocated to the US where she got her education and returned to Thailand to help her people. The other returned after completing her university scholarship in India. They are responsible for coordinating and implementing the curriculum. KRCEE appear to be making the most of their limited resources and are accustomed to facing and overcoming challenges which are so often outside of their control. I inspected their book keeping records as well as past exam papers. This is largest and most developed (they have electricity) refugee camp in the area and is home to 637 students under our sponsored programme. The camp is about 8km in length and we were transported from the guarded gate to the school by the local taxi service (that is, on the back of a scooter for 20 baht). It was a bumpy ride! I met with staff, toured the facilities (including the library and one of the boys’ dormitories), and observed a number of classes (all taught in English). The KRCEE project provides refugee children who finish secondary school with the only opportunity to further their education. Most students are encouraged to study public health or education so they can serve their communities. They are the medics and teachers of the future. And after more than six decades of civil war, their communities need them more than ever. This is but one of 250 projects implemented by CD since their inception. It is a well thought out programme underpinned by the needs of the community (maintaining and developing intellectual capital) and bright children (opportunity to go to study further). Seeing how the different CD projects tie in with and feed off each other provided a valuable insight into the CD methodology. 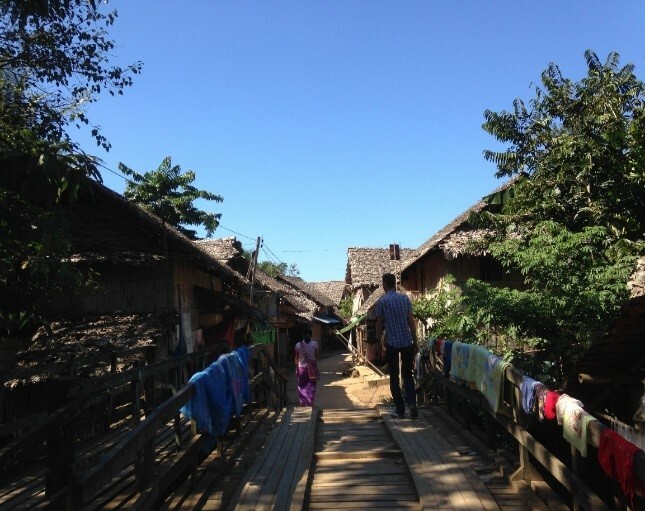 CD supports some of the most deprived, neglected and exploited communities in Asia. By focusing on the young, they are not only saving lives and improving the livelihoods of many; they are also helping to prevent the suffering of future generations.